If you travel on a regular basis for business, on company trips and in your free time, then you’ve probably thought about buying an aircraft at some point. Owning your own aircraft saves you time and removes the hassle of dealing with commercial airports. As a business owner, you may even be looking for an easier way to travel with your team. It’s no doubt that private jet travel is a more feasible solution in the long run. You can also turn this purchase into an investment that changes the way you travel for years to come. Owning a private jet is a large investment. As an aircraft owner, you pay for the jet itself along with the maintenance, storage and operation of the aircraft. With these types of cost, a private jet owner usually looks to minimize overhead to maximize their investment. The best way to do this is through a private jet charter company. With these companies, you can set-up a lease that allows for your aircraft to be stored, maintained and flown for you. This saves you both time and money as you’ll be working with a trained crew of trusted mechanics and crew members who are all passionate about keeping your aircraft in tip-top condition. It also allows your aircraft to be flown on a regular basis, and helps you to generate revenue on these flights. As a private jet owner, what could be better than keeping your aircraft maintained and generating revenue from it at the same time? 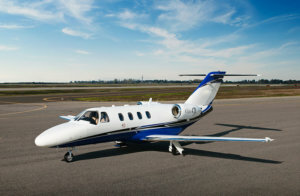 Why Charter your Aircraft Through Pacific Coast Jet? At the core of Pacific Coast Jet’s mission is the development of trustworthy relationships between the charter company and aircraft owners. Since aircraft owners are looking to maximize their investment through a management group they can trust, it’s no wonder that Pacific Coast Jet has built their company around these types of relationships. Unlike other private jet charter companies, Pacific Coast Jet takes a very hands-on, individualistic approach to aircraft management. We treat every aircraft as if it was our own and create management plans, as well as leasing agreements, that mirror those exact values. Our goal is to build a long-term relationship with aircraft owners by creating the ultimate ownership experience. That’s why we’re proud to have clients who’ve been with us since we first started chartering aircrafts in 2006. Contact us today to see how you can join the Pacific Coast Jet Private Charter fleet and start making the most out of your aircraft investment.